Do you love beer? Chances are that if you are here, you do. But here’s another question — do you love craft beer? According to the American Brewers Association (yes, there is such an association), craft beer is a type of beer that is produced by a craft brewer. The latter is described as a “small, independent and traditional” brewer. The traditional part of this description relates to the beer’s brewing which, according to the American Brewers Association, must be prepared with “traditional and innovative” ingredients that make up 50% of its volume. A bit specific, no? Specifications aside, what we really meant to say is that craft beer is unlike any other beer you’ve ever tasted. Sure, there is nothing wrong with commercially produced beer (there are some really good brands out there). But if your goal is to get a taste of local flavours, then craft beer is the way to go. 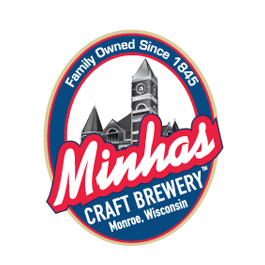 If you ever find yourself in Wisconsin, then we encourage you to drop by the Minhas Craft Brewery, located in the quaint little town of Monroe (also known as the Swiss Cheese Capital of the USA). There you will find the best Wisconsin craft beer. For over a century the Minhas Craft Brewery has been producing premium brews that have captured the attention of people from all over North America. If you are interested, we also offer brewery tours that will give you the opportunity to sample some of our products as well as let you see the behind-the-scenes of a brewery. For more information about our brews, we encourage you to take a look at our website. You are bound to find something that piques your interest!